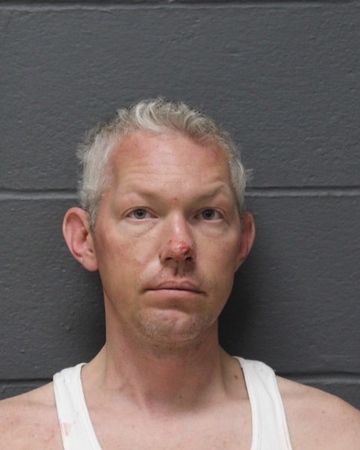 SOUTHINGTON - Police arrested a Southington man on Tuesday and charged him with viciously beating a woman, holding a knife to her throat and trying to throw her out the window at one point during an attack at a local hotel. Michael Lasek, 39, allegedly struck the victim, who has not been identified, in the face multiple times and kicked her in the stomach during a domestic dispute at the Residence Inn, at 778 West St., police said. While in one of the rooms at the hotel, Lasek also allegedly strangled the woman, cutting off her ability to breathe, according to police. Police allege he held a knife to the woman’s throat and tried to throw her out of the room’s window. The victim tried to call 911 at some point, but Lasek ripped the phone from the wall and struck her in the head with it, according to police. The woman later escaped the room and was seen by hotel staff running down the hallway, as Lasek was following her, police said. The woman was taken in an ambulance to an area hospital for injuries to her face and head. Lasek was arrested on charges of second-degree assault, second-degree threatening, second-degree unlawful restraint, second-degree strangulation, interfering with a 911 call and second-degree breach of peace. Posted in New Britain Herald, Southington Herald on Wednesday, 21 March 2018 11:05. Updated: Wednesday, 21 March 2018 11:07.